Marie has been known for her creative teaching skills for over 40 years and has trained many professional dancers and teachers’ worldwide. She has experimented with outstanding success the use of muscle memory to improve students understanding of core stability, weight placement and alignment for over 12 years. Safe dance training has been a passion of Marie’s as an educator for over 4 decades. It is sometimes difficult for students to feel what muscles initiate the correct alignment in ballet their training. However, as the fit ball is continually mobile under the student’s’ body it gives the students a proprioception for their posture and weight placement whilst feeling each correct muscle groups. Each exercise has been developed with care and guidance. The programs have received positive feedback from teachers’ and students worldwide. The inspiring music for the original programs has also been composed by Grant Kennedy to also stimulate the learning process. All updated exercise the music is by kind permission use the music from the ballet class music app. 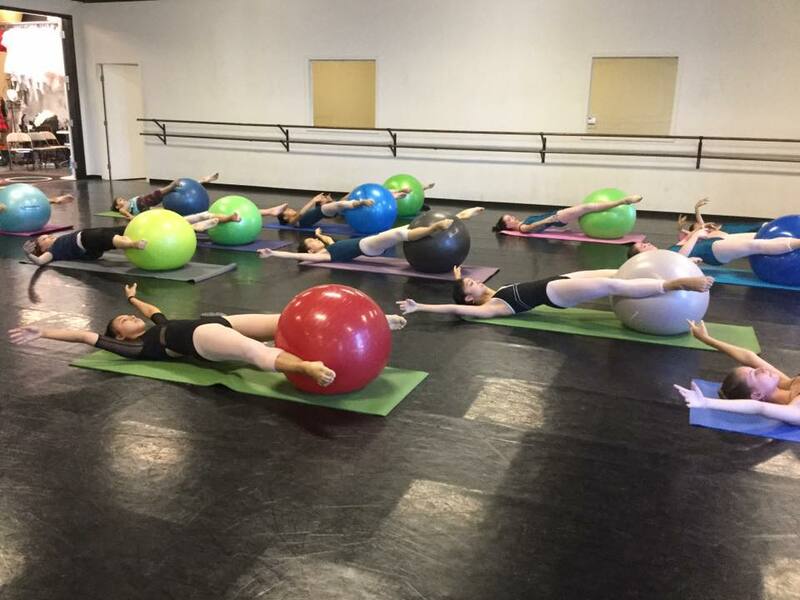 After continual success in monitoring the student’s’ progress in these integral areas of ballet training, Marie was encouraged by teachers to produce her programs and share her PBT technique. The programs are wonderful teaching tools that enhances ballet training. The DVD of Marie’s program Progressing Ballet Technique is available to purchase online for everyone to benefit. The online training makes this accessible to all teachers worldwide to become accredited and be listed on a global database. Those teachers already teaching PBT will now have the opportunity for updates constantly for their class plans as well as mentoring with Q & A. In addition the students online section give each student an opportunity to study at home to improve their ballet technique. Many professional dancers also use the program to keep their form during holiday break. The program also has advantages during rehabilitation from injury. Adult ballet training has been also benefiting from the Senior level program and I encourage you to sign up as a student and work through the levels in the privacy of your own home. Perhaps you learned ballet in your former years and would like to wake up your ballet muscle memory. Floor barre is a fantastic way of maintaining core, hip, and foot control while not bearing weight down though your feet. It is often more challenging than a normal barre and an effective way of improving your technique whilst you are not allowed to do normal classwork. While doing floor barre you can quickly work out where your weaknesses or any discrepancies in strength or range from side to side are. All photos are of ABA students. Academy of Ballet Arts is a 501(c)(3) non-profit arts organization.